When girl meets tulle skirt. 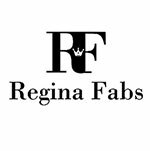 Regina Fabs offers modest but fashionable clothing. Our full length tulle Skirts are great to wear as a statement piece that can be dressed down or up, depending on the occasion. You can go from a sophisticated look to the girl next door!